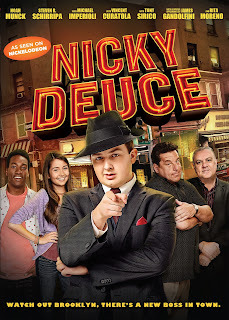 On July 2nd, 2013 Gaiam released the Nickelodeon movie, Nicky Deuce on DVD. Based on the book “Nicky Deuce: Welcome To The Family” by Steve Schirripa and Charles Fleming, this movie seemed right up our ally with cast members from the amazing television show "The Sopranos". 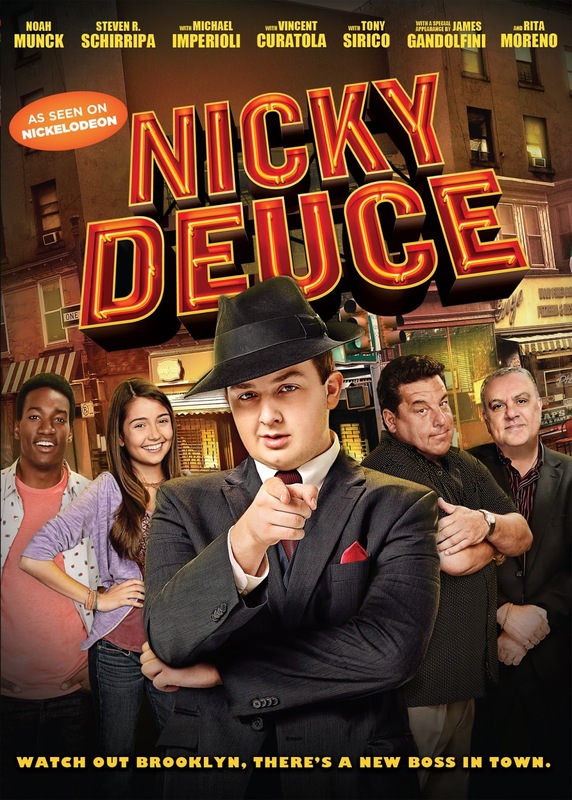 Nicky Deuce originally aired on Nickelodeon on May 27, 2013. The synopsis says "A sheltered suburban teen, has the adventure of a lifetime when his plans for math camp take a sudden turn. 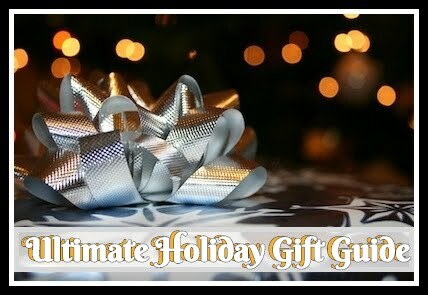 Instead, he is forced to spend his summer in Brooklyn, New York, with the family he never knew he had-his Italian grandmother Tutti (Rita Moreno) and Uncle Frankie (Steven R. Schirripa). A fish out of water, Nicholas leans on the local kids to help him fit in and ends up with a slick new persona: Nicky Deuce. But when Nicky runs into trouble, he discovers a family secret and learns that the tough streets of Brooklyn aren´t always what they seem. Now although we thought this was a pretty funny movie, it wasn't quite what we expected I guess from these actors. Kevin and myself found ourselves a bit annoyed as if we were watching one of Alana's typical teenager programs. She enjoyed it and the boys were bored as they didn't understand much! Recommendation: I have to say I would only recommend this if you have a child in the age ranges maybe 8-13 as it really wasn't for young children or adults by any means!